I’m extremely pleased to have Alton Gansky as my guest today. I first met Alton at the first writers' conference I attended, the Glorieta Christian Writers’ Conference, where I took a couple of his classes. I still give him credit (or blame, take your pick) for getting me started on my road to writing. RM: Al, you write both fiction and non-fiction, something that’s not the norm nowadays. How did that come about? And do you have a favorite between the two genres? AG: One thing that makes writing so interesting is the wide range of disciplines. I occasionally write articles, write for businesses, and dabble in other forms. I believe writers should stretch their skills to master new outlets. I’m working on a screenplay now. Still, fiction is my love. Nonfiction brings a different kind of satisfaction, but with fiction I feel greater creativity. 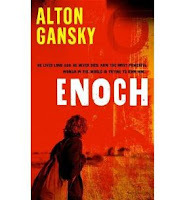 RM: Your book, Enoch, has just come out. Also, you and Robert Cornuke wrote The Bell Messenger, which was recently published. How did you come to have two books hitting the market at about the same time? And can you tell us a bit about these two books? AG: The first thing a writer learns is he is not in charge of when his work is released. That’s a publisher decision and sometimes release dates get pushed around. With Enoch, I’m the sole author. Bob Cornuke is the primary author of The Bell Messenger. I’m the “with.” My job was to take his vision and work and add my experience to it. We have a second book coming out next year called the Pravda Messenger. Enoch, who goes by the English transliteration of his Hebrew name Henick, encounters various people on his journey. A New Age preacher sets out to steal his fame and his life. The Bell Messenger is a story created by Christian explorer Robert Cornuke. I worked with Bob a few years back rewriting some of his nonfiction work. The book takes its title from a Civil War boy who traveled with the Confederate army armed only with a Bible. When he is killed, the Bible falls into the hands of his killer. In the book the Bible travels from person to person and to far off lands changing whomever comes to own it. RM: I still recall one of the first things you taught me was to ask, “What if?” Do you still have that card file of “what if” ideas, and if so, what’s the next one coming out of it? AG: I maintain a list of about 20 ideas for novels and a half dozen for nonfiction books. At the moment my writing/editing business Gansky Communications is keeping me busy helping writers, editors, and agents. As I mentioned earlier, I’m working on a screenplay and treatment for one of my earlier (now out of print) books. RM: In addition to writing, editing, and speaking, you give a lot of your time teaching at writers’ conferences. Not long ago, you were named to head the annual Blue Ridge Mountain Christian Writers’ Conference. How do you keep all those balls in the air? AG: Who sez I do? You should see all the balls on the floor of my office. RM: Is there anything about the next conference you’d like to share? AG: We always have a great faculty at Blue Ridge Mountains Christian Writers Conference and the May 17-21, 2009 conference is no different. 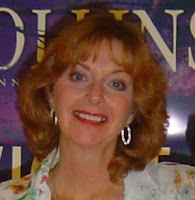 In addition to the stellar team we’ve had in the past, we have Angie Hunt, Cecil Murphey, Sally Stuart, and others. RM: You had a recent blog post on the BRMCWC site that had some excellent advice for writers. Can we expect a few more lessons from you in the future? AG: I’m trying to strike a balance between education, conference information, and general encouragement. The blog site will become more active as we get into the new year. Again, we should have postings from the faculty and conferees. RM: Do you have any final words of wisdom about writing for my readers? AG: Sure, read the best writers then try to out do them. It’s all about craft and craft is all about practice. Al, thanks for dropping by. I loved Enoch. The phrase is overworked to the point of becoming trite, but I truly found it hard to put down. I'm looking forward to your next "what-if" project. I'm thankful that, despite the chaos that seems to surround us and deepen each day, God is in control. His continued sovereignty is the reason I can say--today and every day--"Thank you." I hope you'll join me in doing that. And don't forget to tell someone you love them. Have a blessed day. It hardly seems possible. November is almost gone, Thanksgiving is upon us, with Christmas right behind. Where has the time gone? 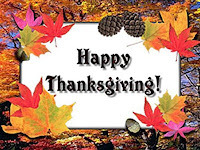 This is traditionally a time to count our blessings, to give thanks for what we have. I know--it's hard to think about blessings when our nation is struggling with economic changes that threaten to sink us, while carrying on a war with terrorists that seems to have no end. But nevertheless, we are a blessed people. And I count myself to be truly blessed. I have a roof over my head, clothes to wear, food to eat--I am blessed. I have a family and friends, people who love me and care for me--I am blessed. And I have accepted God's free gift of love and redemption--I am truly blessed. To my readers, thanks for continuing to drop by Random Jottings. I'm thankful for you, as well. We all get stories--lots of them--in our emails. I thought this one was funny. But once I stopped laughing, it raised some serious questions in my mind. See what you think. The Reverend Billy Graham had just flown into Charlotte, NC, and his hosts had sent a limo to pick him up. After the luggage was stowed, Graham said to the chauffeur, "You know, I've always wanted to drive one of these stretch limousines. Would you let me get behind the wheel for a few miles?" The driver wasn't sure about this, but decided that he'd go along with it. He gave the preacher his cap and climbed into the back seat. Rev. Graham was enjoying the horsepower under the hood when he noticed lights and a siren behind him. He pulled over and lowered his window, already regretting his mistake. "Sir," said the State Trooper, "I had you at 70 in a 50 mile per hour zone." Then he did a double-take, tipped his hat, and hurried back to his patrol car. "Commander, I need some advice," he said on the radio. "I've stopped a speeder. I was about to write a ticket, but I know we're supposed to show some respect for important persons. I just don't know what to do here, though. This is a really important person." "The Governor?" the commander asked. "Nobody's higher than that. Who do you think this is?" The trooper scratched his head before answering. "Well, I can't see into the back seat very well, but I think it must be Jesus. You see, Billy Graham is the chauffeur." Sure, it's funny, but it made me think. Who's driving the limo of my life? Is God up front, steering my course? Or have I relegated Him to the back seat while I take things for a spin, sometimes ignoring the speed limit or taking a wrong turn. Maybe I need to take off my chauffeur's cap and let Him drive. Because, if I don't, that's not funny--it's dead serious. I recently did an interview with Brandilyn Collins, in which she talked about her latest novel, Dark Pursuit. Now you have a chance to win a copy of that book. Go to the Facebook group, Fans Of Brandilyn Collins for details. Also check out Brandilyn's blog for information on getting signed bookplates for copies of her books you may already own. If you want a preview of Dark Pursuit, you can sign up for Zondervan's Breakfast Club and get emails with the first portion of the book. I've been getting these for almost a year, and it's a great chance to evaluate books that might be of interest. Try it. Just watched an interview with the late, great Red Skelton, done when he was 80 years old. The clip runs for ten minutes, and is well worth your time. The world lost not only a comedic genius but a truly humble, kind, great man when he died over ten years ago. In the interview--and remember, he was 80 years old at the time--he tells about his typical day, which began at 5:30 AM and included writing music (a number of symphonies), poems (hundreds), a love letter to his wife (one each day), short stories (52 a year) and painting. Whew! I can't complain any longer about not getting things done. I recently took advantage of an offer made by Michael Hyatt, President of Thomas Nelson Company. The company would send me a free copy of one of their books if I’d post a review—good, bad, or indifferent—on my blog and on Amazon. At first glance, none of the books on the list appealed to me. Then I saw Billy. This book purported to be “The untold story of a young Bill Graham and the test of faith that almost changed everything.” Sounded interesting. I requested it and have just finished reading it. The book uses a clever device to carry along the story. It’s told as a series of revelations made in an interview by a television reporter with evangelist-turned-atheist Charles Templeton, once a close friend of Graham’s. 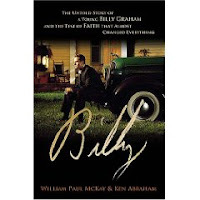 I was fascinated as I learned about Billy Graham’s early years. For instance, I had no idea he once sold Fuller Brushes, or that he was the youngest college president in the US (although the college was small and struggling). I had forgotten that his wife, Ruth, was the daughter of missionary parents and had no plans to ever marry. The “crisis of faith” is the turning point of the book. Graham’s close friend, a man with whom he’d shared the platform at Youth For Christ rallies, decided that he could no longer believe the Bible was God’s Word. Not only that, Templeton seemed to delight in making fun of his friend’s continuing faith. This book shows Billy Graham to be a humble man, used by God to communicate the Good News of salvation to multiple thousands, yet always aware that he was just the messenger, not the Message. In my opinion, if you like reading biography, this one--with the exception of the section I've already mentioned--is well-written and worth a read. I'm a very private person. Given the opportunity (which I rarely am), I'd be happy sitting at the computer for long periods of time, just writing, occasionally surfing the web, sending and receiving emails, and in general hiding out. But, like all authors, I recognize the need to put myself forward in order to promote my writing. At least that's what they tell me. For me, some aspects of this are good. For example, as the author of The Tender Scar: Life After The Death Of A Spouse, I am frequently invited to speak about grief and loss. I did this just last week, spending a couple of hours with an Ecclesiology class at Dallas Theological Seminary to try to help these pastors-in-the-making prepare to minister to their church members in times of crisis and loss. Will that cause any of them to buy the book? Maybe, maybe not, but that wasn't the object of the meeting. I consider this a ministry, just as I think the book represents a way to serve others. I don't call that marketing. On the other hand, I also write fiction, and if/when it's published, I'd like for people to buy it. One way for that to happen is for them to recognize my name. So, today I signed up for Facebook. My friend, Brandilyn Collins, once called Facebook a "stalker's dream," but she's signed up so I figure it's not a bad deal. I'm still not sure I should have done it or what I need to do next. For example, apparently I have a "wall," but I don't know what it represents and whether I'm responsible for painting it and putting up pictures. Nevertheless, authors are supposed to get their names "out there," and apparently a blog isn't enough. So I'm now on Facebook. Do I need to do even more? Probably, but I think I'll stop right there, at least for now. Some of my friends are enamored with Twitter, which, as best I can tell, is sort of like a nationwide party line where everyone knows what everyone else is doing at all hours. I can't see the appeal, but my friend BJ Hoff, an admitted technophile, has urged me to join her in tweeting. I'd appreciate hearing from any of my readers about their experience with Facebook, Twitter, and all the other social networking sites. But right now I feel as though I've taken the "do not disturb" sign off my door and opened it to let the world in. What do you think lies around the corner in the picture? Does the road run into a tunnel, one that's dark and winding with no glimmer of light at the end? Or does it open into a vista of a green valley below with snow-capped mountains in the distance? What's out there? We don't know. We can guess. We can conjecture. We can pontificate. But the only way to be certain what's around the bend is to travel the road. No matter what the pundits and pollsters may say, no one knows what lies around the bend for our country. The only way to acquire that knowledge is to travel the road, one mile at a time. 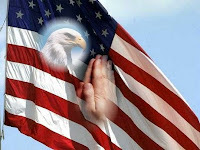 And as I do it, I will ask God to uphold our nation's leaders--all of them--and give them wisdom and discernment. I hope you'll join me in praying to that end. Political ads, political rhetoric, political debates...we've all had it up to here. I suspect that just about everyone, even the candidates, will be glad to see the end of the campaigning. On Tuesday, multiple offices will be decided at every level throughout the land, the most important being the choice of who will lead the US for the next four years. We're living in troubled times, and the person who occupies the Oval Office is going to bear a heavy burden of responsibility. I pray that the American people will choose wisely. 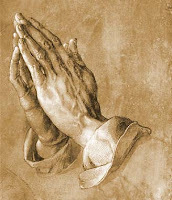 I have my own opinion, formulated after careful study and a great deal of prayer. Kay and I have already voted, casting our absentee ballots before leaving for our recent vacation. If you have not yet voted, on Tuesday please do so. But take a moment before you do and pray for two things: for God's guidance in your decision and His blessings on our nation.